Is there a more fun way to kick off the holiday season than gathering with friends for a celebration? 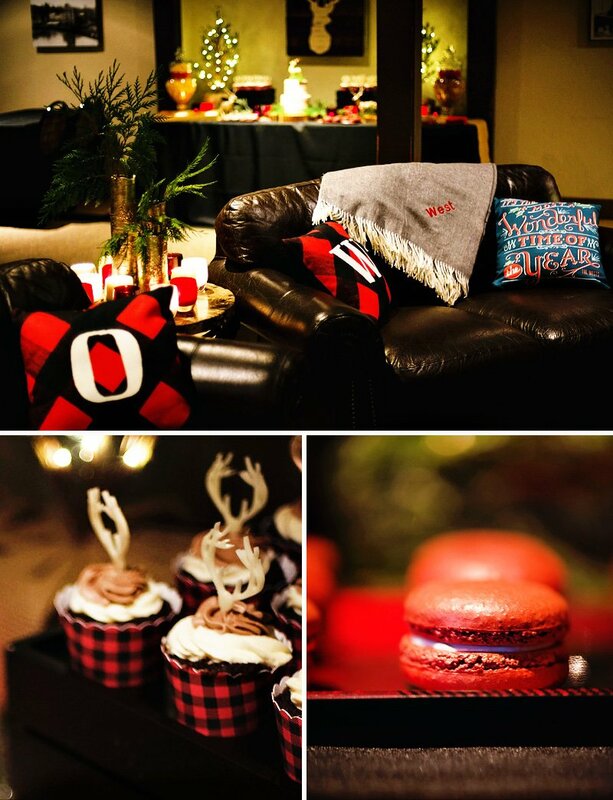 My husband and I recently hosted a favorite things holiday party to help us get in the holiday spirit! 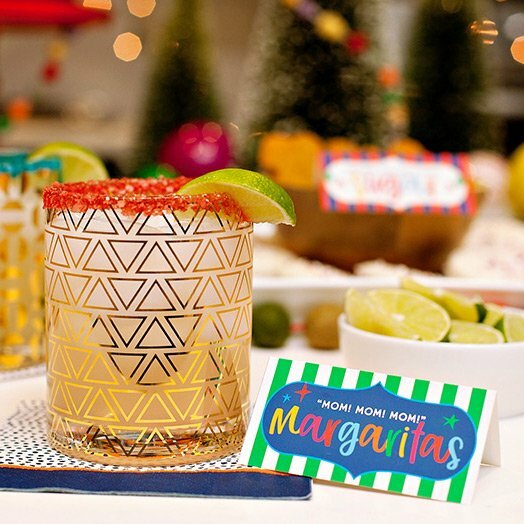 We’re excited to share with you a few tips we learned along the way so you can host your own favorite things holiday party! 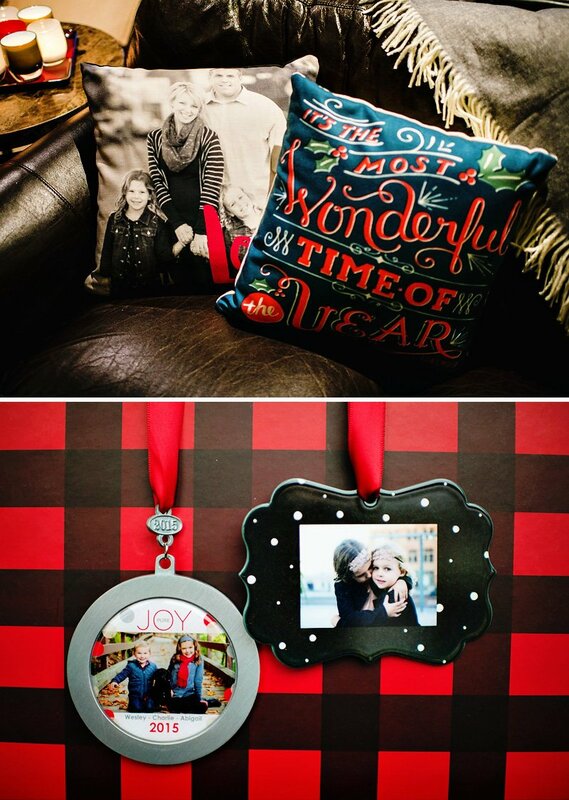 Get ready for a big dose of holiday cheer as you enjoy the photos by Lauren Oliver Photography. Step #1: Choose a party theme. With the holiday season upon us and plaid and deer décor trending, we decided to go with a rustic holiday theme. We had so much fun sourcing the cutest products to coordinate. 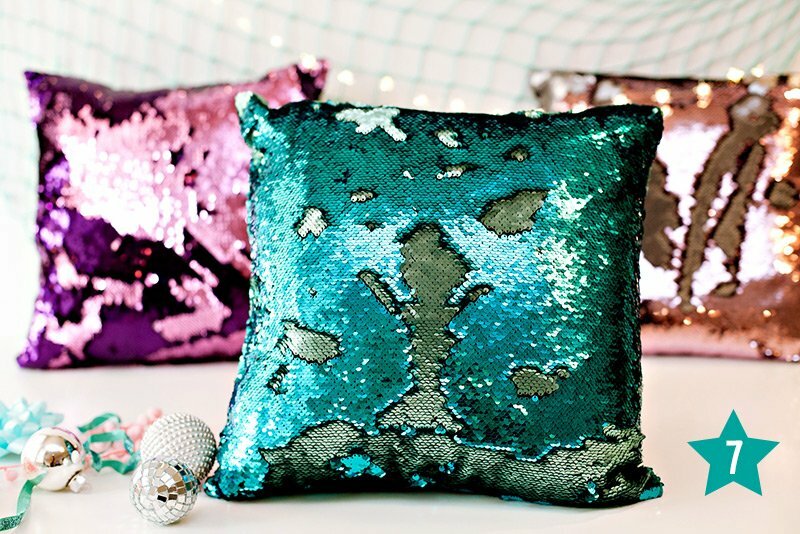 Choosing a theme that you already have décor for or is easily accessible will save you time and stress later. Step #2: Decide on your party venue. Whether you host your holiday party at home or make reservations at a restaurant, cabin or rental property, you want to choose a space that will accommodate your desired group, fits your budget and theme and provides the kind of atmosphere and ambience you desire. We loved having our event at the Rivers Edge Restaurant. Their banquet room provided the perfect setting for our guests to mingle, laugh, chat, eat and exchange gifts. Plus, the fireplace was so cozy and the rustic feel of the room provided the perfect atmosphere. Step #3: Make your guest list and collect addresses. Keep the size of your party venue in mind and consider how intimate you want your soiree to be. We suggest a group of 20 for this type of holiday party to ensure a smooth gift exchange process. Step #4: Order theme coordinating invitations. Be sure to give any important instructions regarding the number of gifts each guest should bring, whether there is a theme for the gifts or any per gift spending limit. 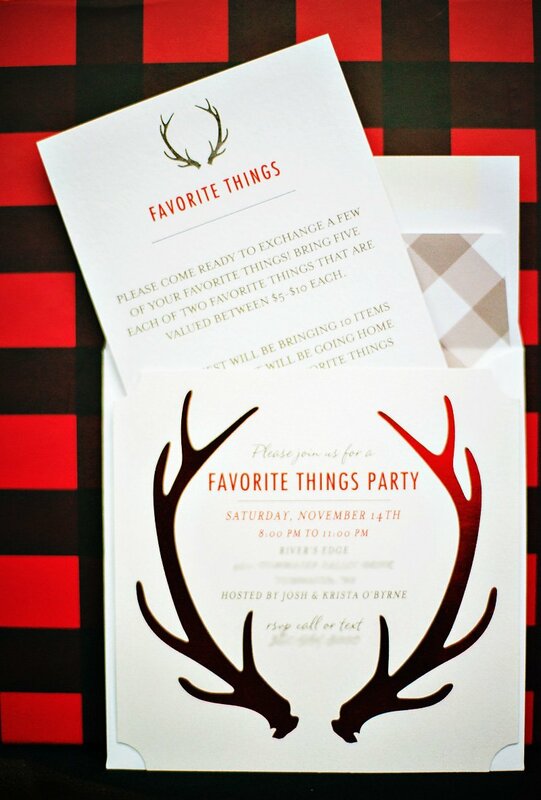 We sent out these adorable antler invitations from Tiny Prints. 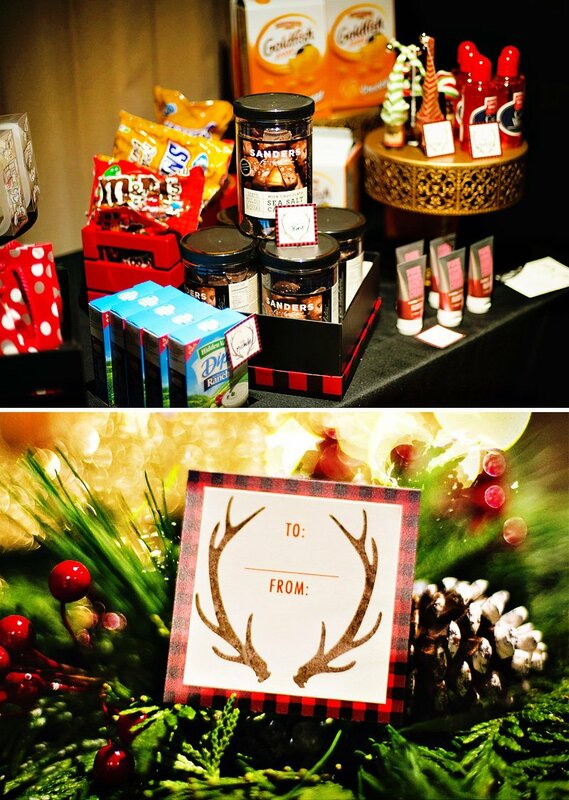 For our favorite things party, we asked guests to bring a total of 10 gifts each- 5 of 2 different favorite items. We put a price limit of $5-10 each (although some guests exceed the limit). 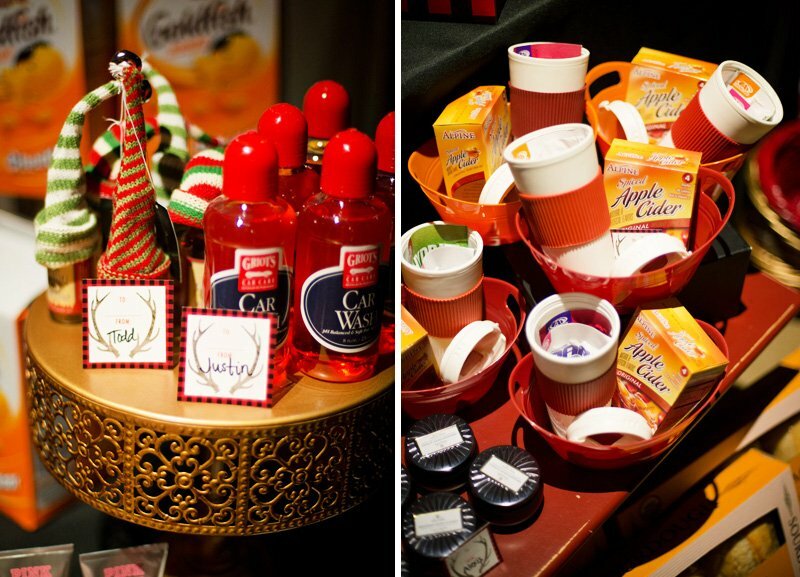 Each guest at our party left with 10 new holiday gifts to enjoy! Step #5: Plan your menu. Depending on your budget, you can choose to serve a full course meal (homemade or catered), or simplify things with appetizers/snacks and desserts. For our party, we arranged for restaurant catering of some delicious appetizers and ordered beautiful desserts to coordinate with our theme from some of our favorite dessert artists. Jessica ofModern Moments Designs made our customized menus for us (along with our fire place mantel banner and some coordinating favor tags for gifts). We set up a beautiful rustic dessert table against one wall of our venue. 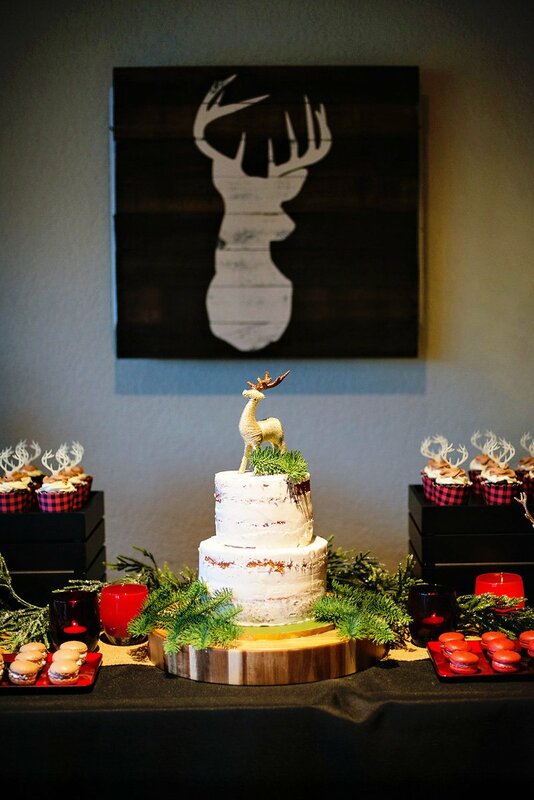 A stag wall hanging provided a simple backdrop and Pottery Barn potted trees made perfect anchors on each side. Golden deer and greenery dressed up the table. Beautiful votives from glassybaby added that classic holiday glow. Using a mix of rustic crates, wood rounds, gold trays and plaid melamine platters we served up a delicious assortment of treats. 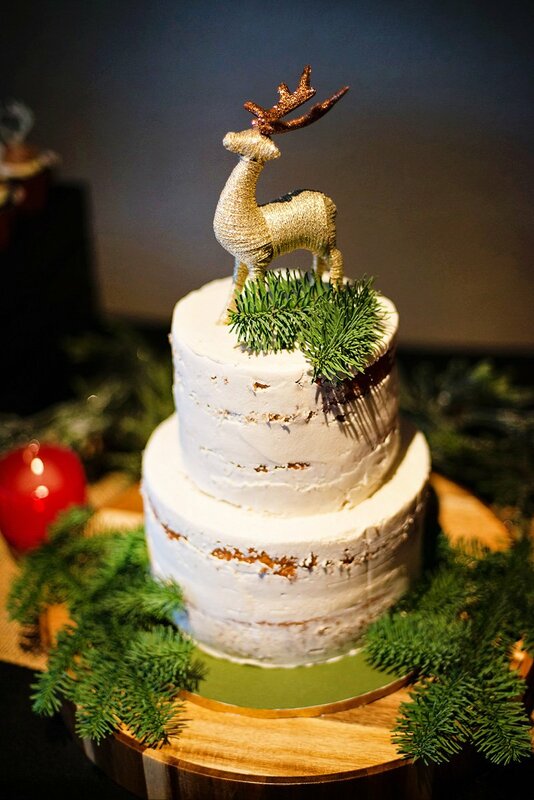 A gorgeous vanilla cream naked cake by The Sugar Canvas Boutique Bakery was the centerpiece. Black bottom cupcakes in buffalo plaid wrappers from Oooh La La Paperie and Boutique and topped with acrylic antler picks fromThickandThinDesigns were a perfect addition. Lovely holiday macarons from 4 Kids Cakes made mouths water! 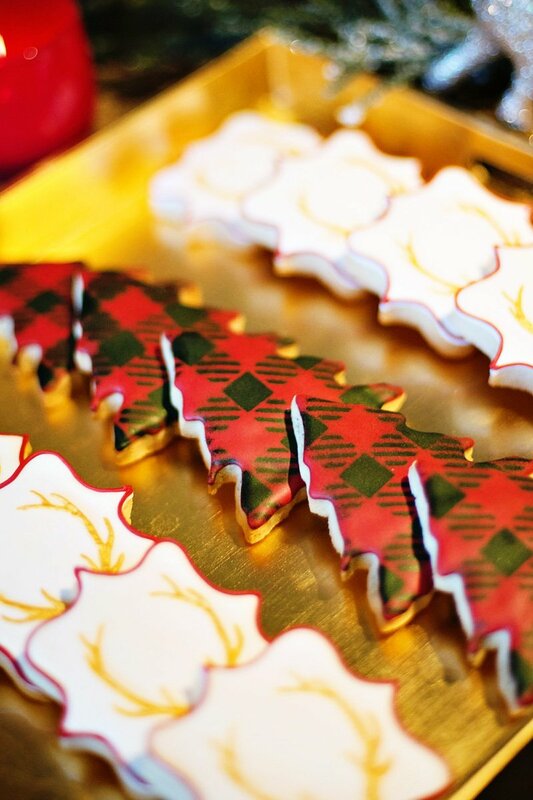 Gorgeous frosted sugar cookies with an antler and plaid motif, also from The Sugar Canvas Boutique Bakery, were a crowd favorite! And do you think you could bring yourself to actually eat the incredible chocolate dipped Oreos from Bella’s Bakery? Because you always need a little salty with the sweet, apothecary jars were filled with popcorn from Pop!Gourmet. Don’t forget the beverages! We had a variety of wine, beer and our signature cocktail–a cranberry margarita– on hand for plenty of toasting throughout the night. 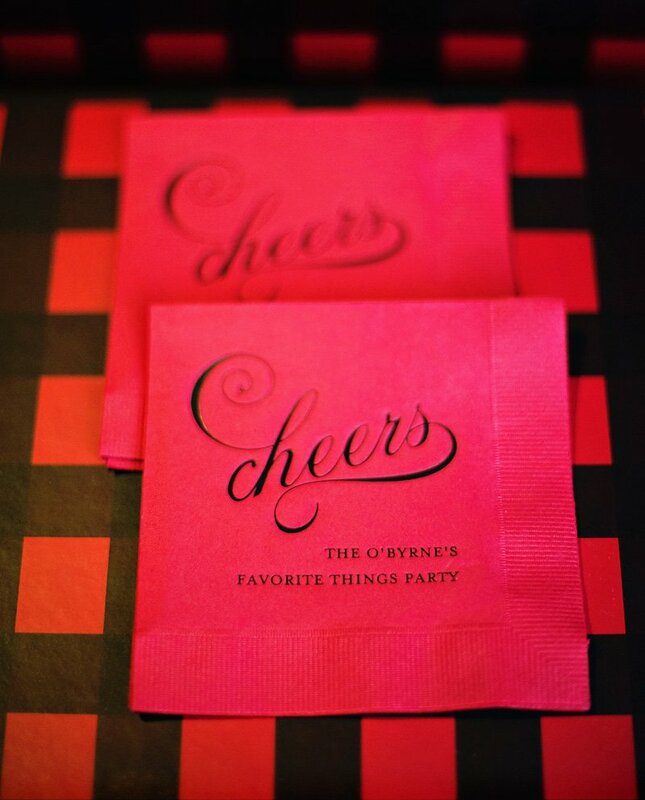 We added custom napkins to the beverage area because we love a personalized look! 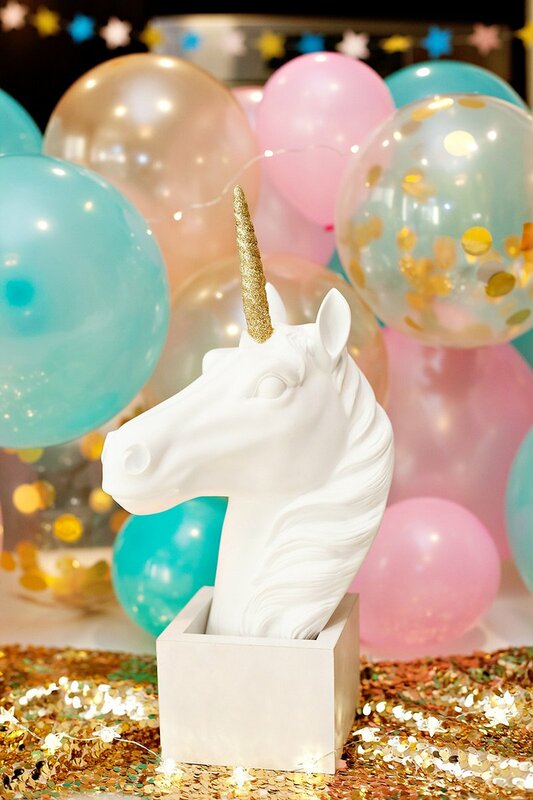 Step #6: Plan your party décor. Because we chose a venue that already had a rustic feel with a rock fireplace and neutral colors, it was easy for us to add a few simple décor touches. 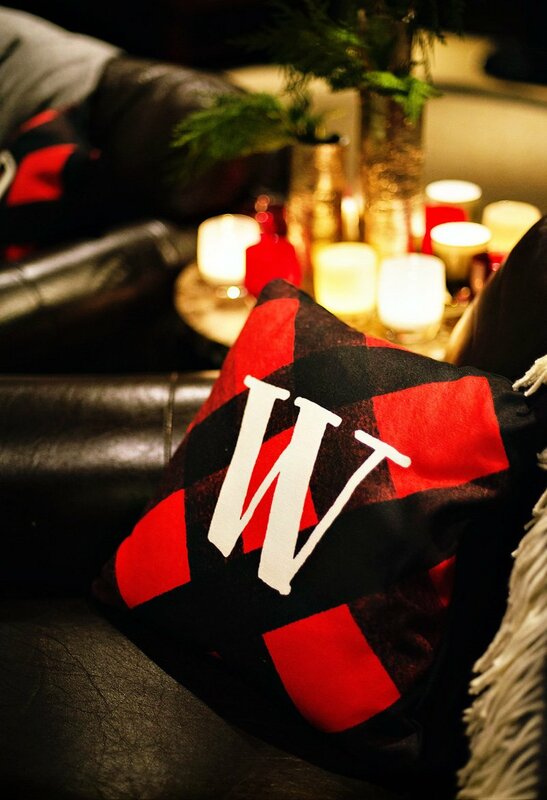 We incorporated custom throw pillows and blankets to leather couches, a plaid printable banner, candles, greenery and a stag bust to the fireplace mantel and other subtle holiday touches throughout. To add in a personal touch, we hung Christmas ornaments with family photos and displayed acrylic photo blocks and some of our holiday cards around the party space. 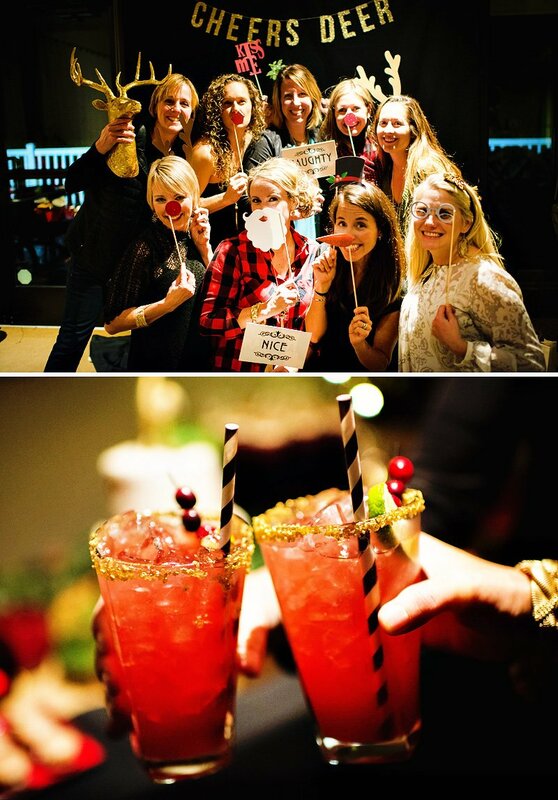 We also set up a simple photo booth using a cute gold glitter “Cheers Deer” garland and photo booth props from Little Retreats. Step #7: Plan for the gift exchange. 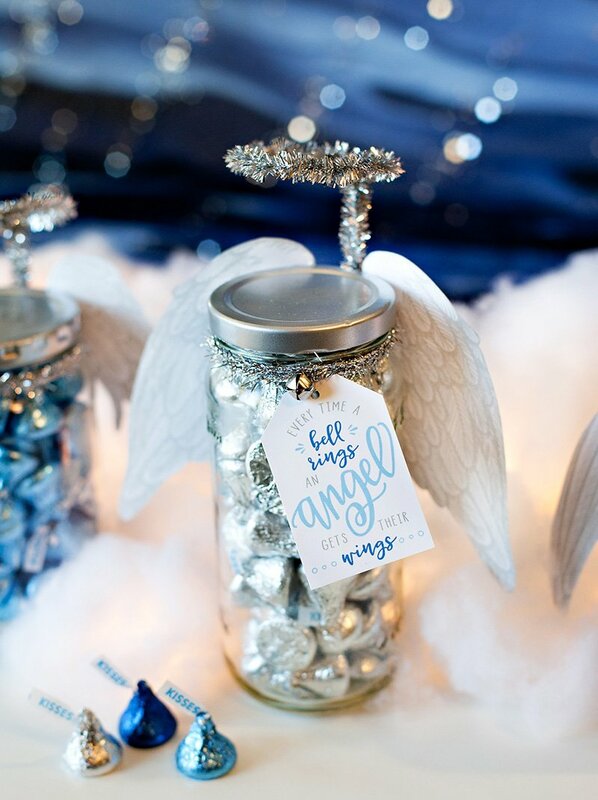 With so many gifts being brought for the exchange you will need a place to display everything, tags for labeling items and a way for guests to transport their party “loot” home after the event. Using bookshelves, gifts for our event were displayed on stands and various trays. As guests arrived, they were invited to label their gifts with their names on some really cute tags. 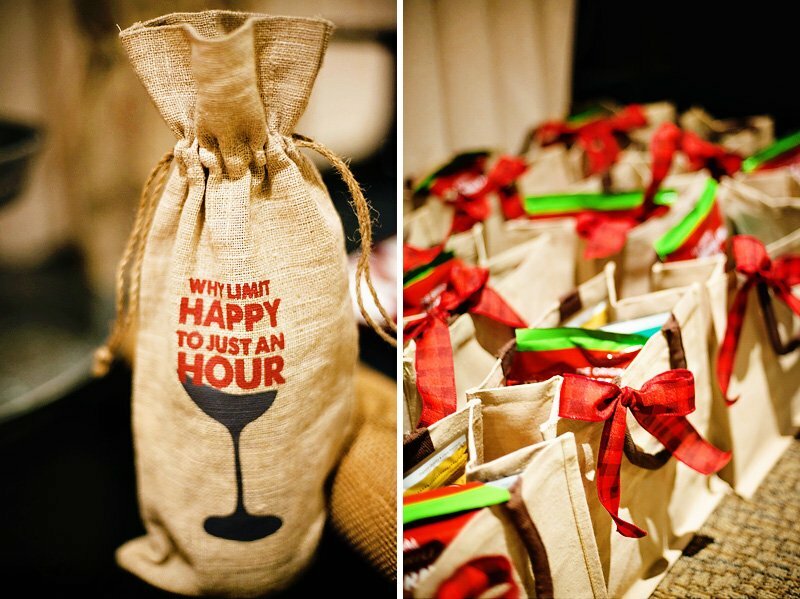 Guests were given cute favor bags from Nashville Wraps to house their new gifts + a few hostess gifts like popcorn from Pop! 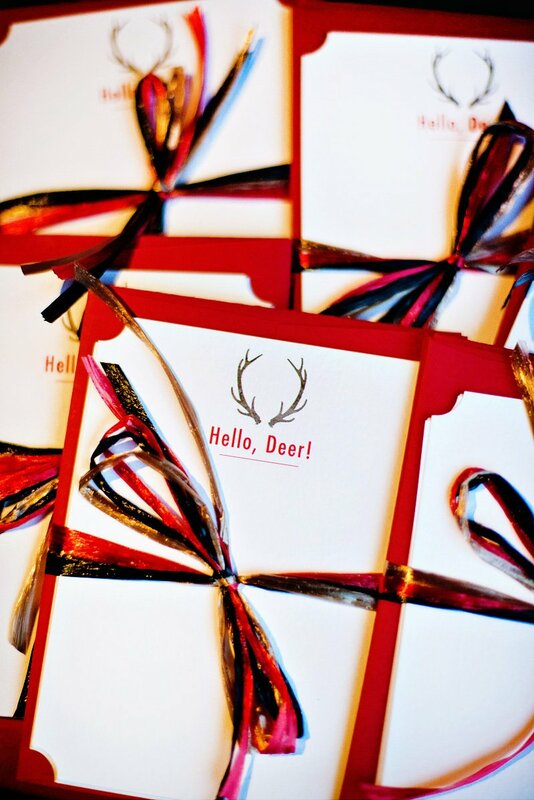 Gourmet and “Hello Deer” notecards from Tiny Prints. 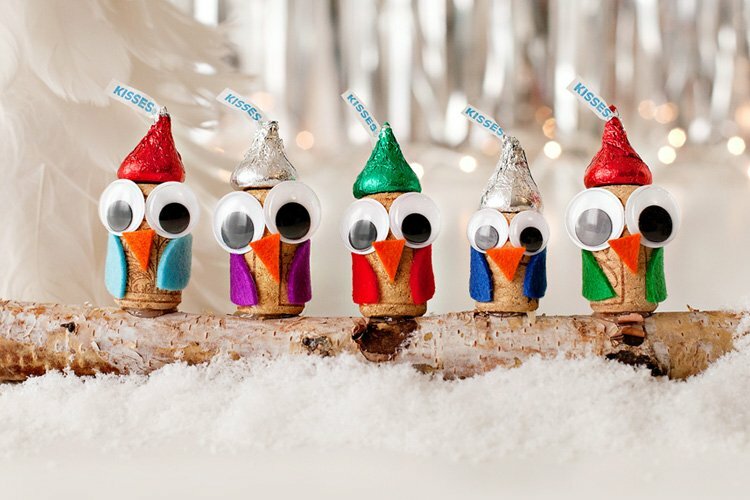 After completing all 7 steps above, you are ready to enjoy celebrating the holidays with friends! Cheers!